Caring for your oral health is our top priority at Dental Care Center at Kennestone. Our team of experienced, friendly dental professionals offer a relaxing and inviting atmosphere where you can achieve your best smile. Our dentist office in Marietta offers a wide variety of dental services to care for all the smiles in your family. We treat the growing grins of children to the mature mouths of seniors. 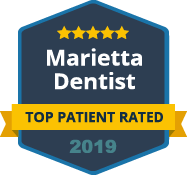 Come join our dental family and experience dental care excellence at our office in Marietta. Oral health care begins with preventive and general dental services. Our practice offers a comprehensive list of dental services to improve the health of your teeth and gums. Preventing decay, gum disease and other dental issues are the best way to make your smile last a lifetime. When you do need treatment, we provide excellent care for removing decay, repairing damaged teeth and combating issues like gum disease. We help you and your family maintain healthy smiles while making you feel at home in our comfortable office. A healthy smile is important to your wellness and your appearance, which is why we offer more than just general dental care. When you want your smile to look its best, we provide cosmetic services like porcelain veneers, whitening and other treatments to give your smile a makeover. We also offer orthodontics, restorative dentistry and sedation options. We to help you achieve your best smile while making you feel at ease. 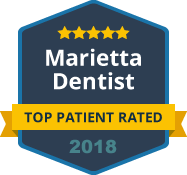 If you have been looking for a quality family dentist in the Marietta area, come visit us at Dental Care Center at Kennestone. You will love our friendly, personalized care and comfort amenities while receiving the most advanced level of dentistry. Call our office, or book your appointment online to join our dental family.